Buy your new house here! Need a house look no further this the place to be. Walking east of this map will take you to your house. If you do not have a house, then a message appears and nothing happens. If you have not purchased a house already, do so by clicking on the Buy a House button on the top right and then purchasing any affordable house. The house can then be equipped by doing the following. If you have problems understanding, each step will have an image. 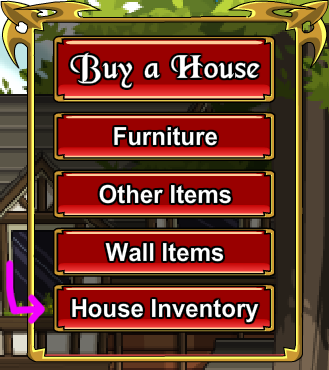 Access your House Inventory by clicking on the House Inventory button on the top right. After accessing your House Inventory, a menu should appear. From there, there will be 3 categories- Floor Items, Houses, and Wall Items. 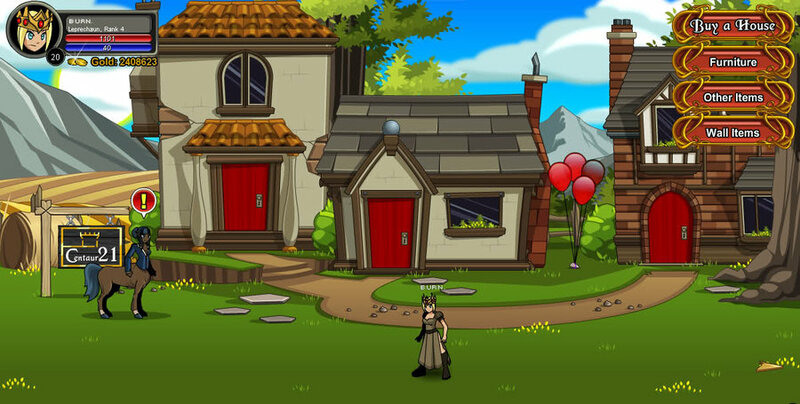 You want to click on Houses, and then select the house you wish to equip (in this case, it will be the house you just bought). 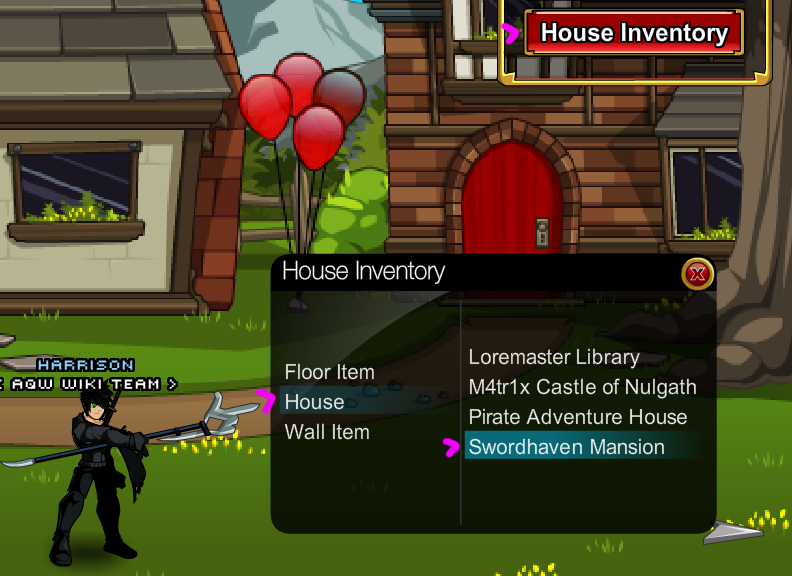 With the house selected, press the blue '+' box at the bottom right of the house preview, as shown. A prompt to say 'Yes' or 'No' will appear. 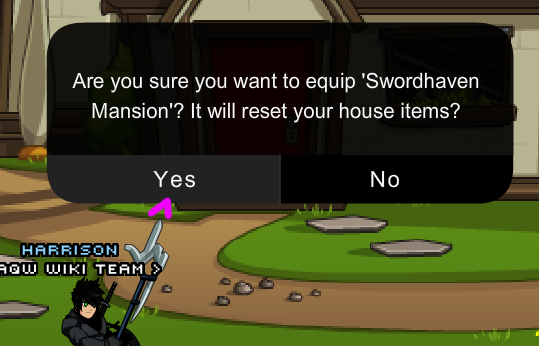 Click on 'Yes' to equip the house. Click on the house icon on the bottom right of your action bar. Type /house [heroname], with [heroname] as your Hero name. For example, if your Hero name is Harrison, you would type /house Harrison. 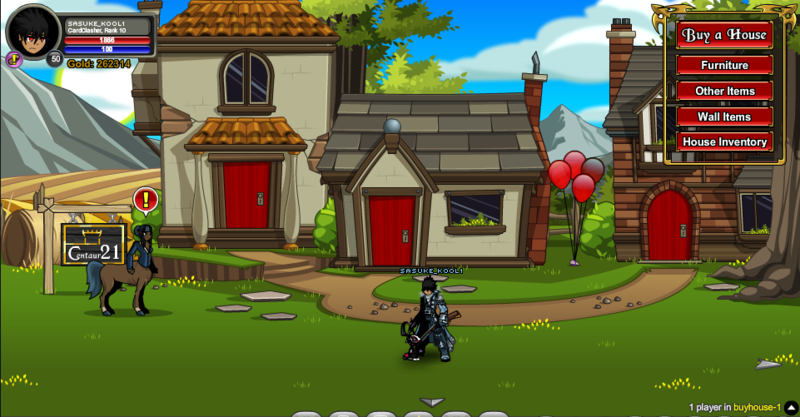 In the /buyhouse map, you can just walk right to the silver arrow and that should automatically take you to your equipped house.